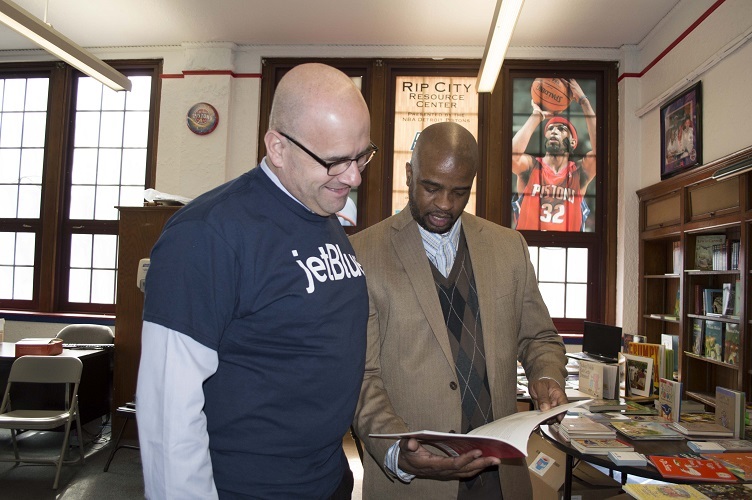 canon salute, and a taste of the Motown sound. 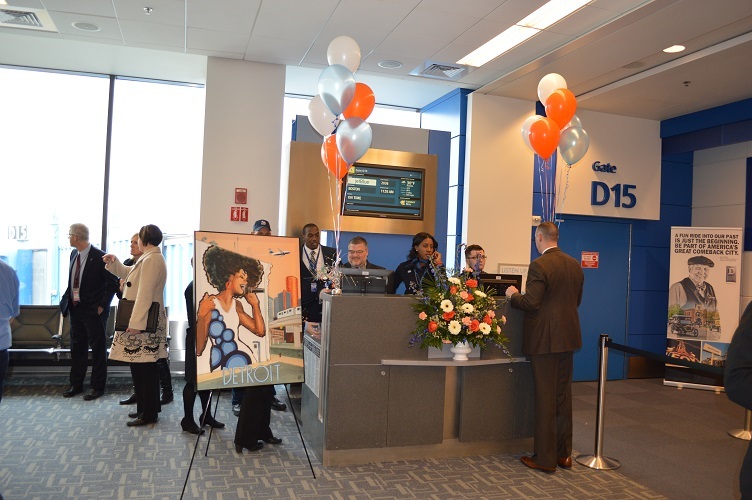 “We’re celebrating here at DTW today, this is a big deal, this is the first new airline we’ve added since 2005” said airport public affairs director Michael Conway. “This is very important to our customers” he later added. 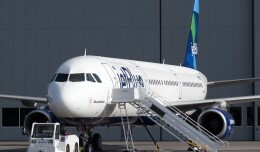 Important indeed, as before JetBlue showed up, Delta was the only carrier providing non-stop flights between the two cities. 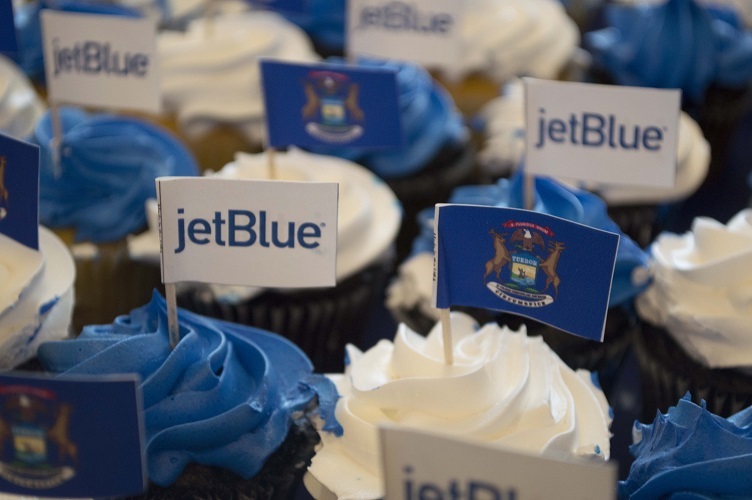 JetBlue will serve Detroit from Boston with three round trip flights daily, using the 100-seat Embraer 190, which like all JetBlue aircraft, is equipped with 36 channels of DirecTV programming and 100 channels of SiriusXM radio at every seat. Detroit marks the 85th city that JetBlue services, and is the airline’s 52nd non-stop route from its growing hub at Boston’s Logan International Airport. 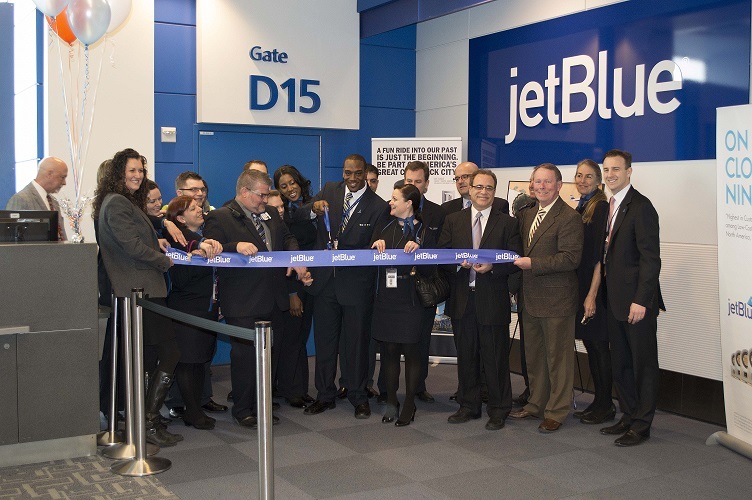 By all accounts, the highlight of Monday’s celebration was not only the inaugural service, but also the community involvement, something which JetBlue calls “Inspiring Humanity”. 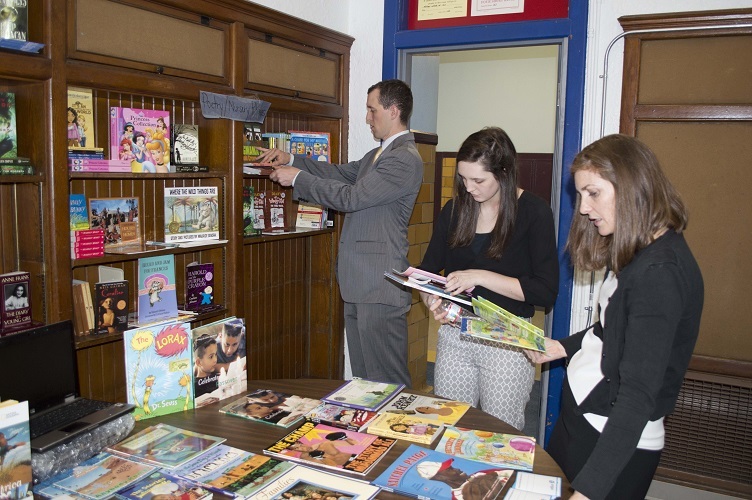 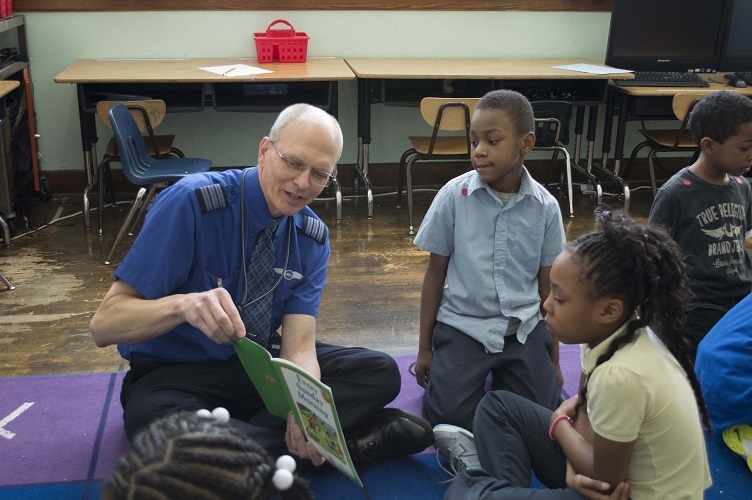 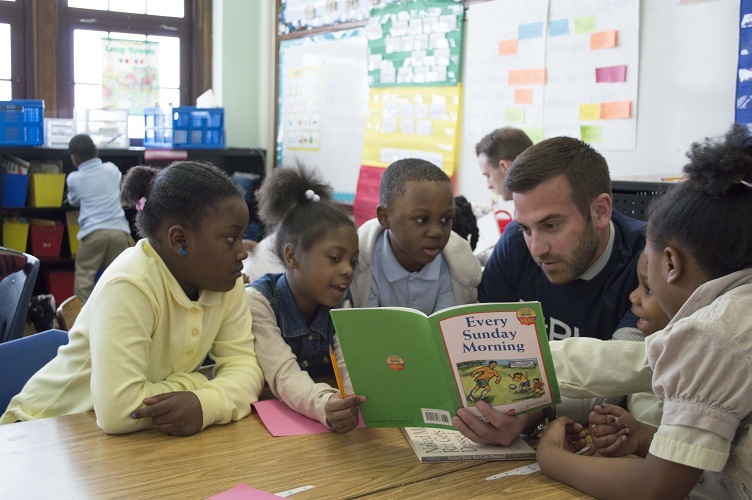 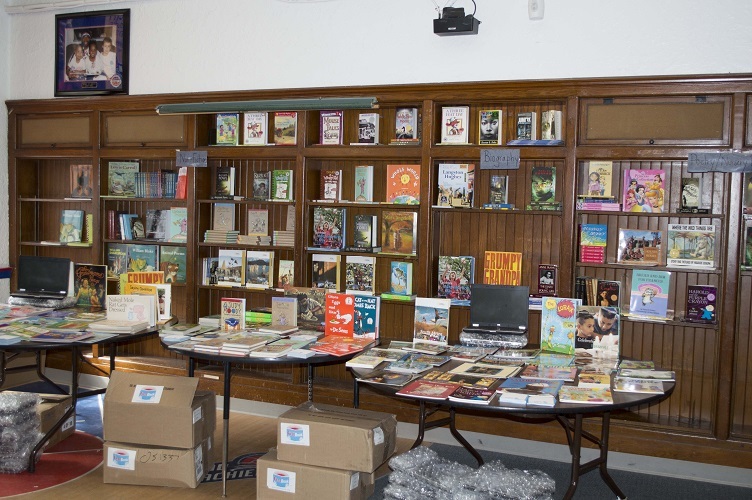 Once the gate-side celebration wound down, about 15 JetBlue crewmembers loaded into cars and headed to Detroit’s inner city to deliver some much needed supplies, along with a planeload of humanity, to Burns Elementary and Middle School . 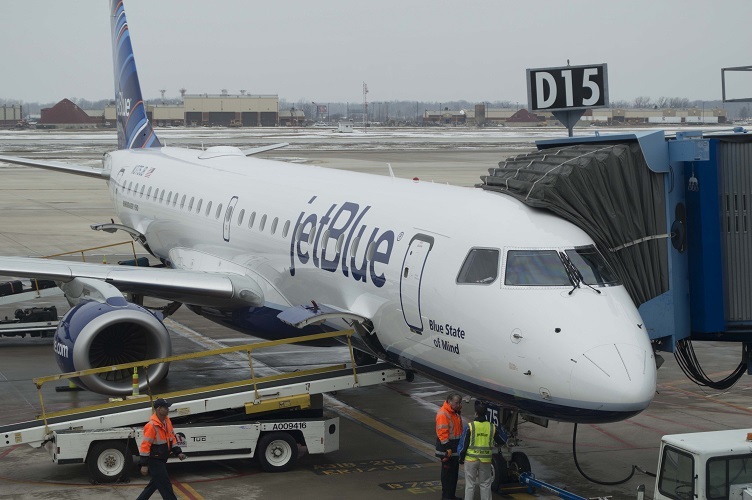 JetBlue becomes the 13th carrier to operate out of DTW, which handles more than 32 million passengers each year, occupying nearly half a million flights. 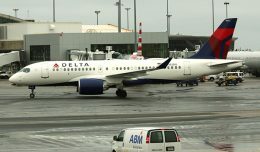 Delta is the dominant carrier at the airport, operating a large hub inherited from its 2008 merger with Northwest Airlines. 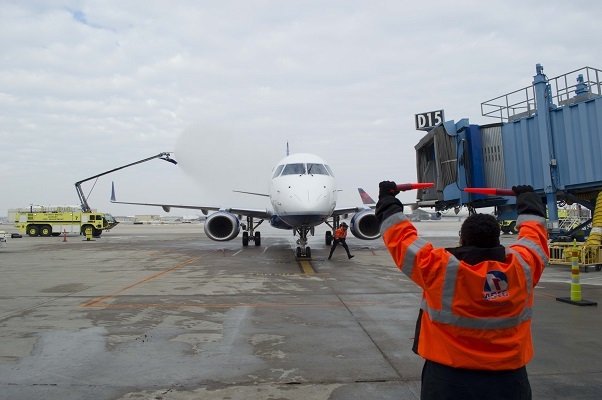 While low-cost carriers Southwest and Spirit have sizable operations at DTW, the airport typically ranks among the top 1/3 in highest average domestic airfare. The addition of another low-cost airline in JetBlue gives Detroit-area travelers some low-fare options to Boston and other cities along the east coast. 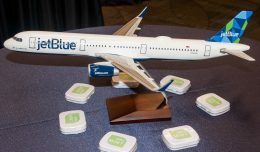 If Monday’s events are any indicator, JetBlue will be a welcome addition to Detroit, and begin a long and fruitful relationship for everyone involved. 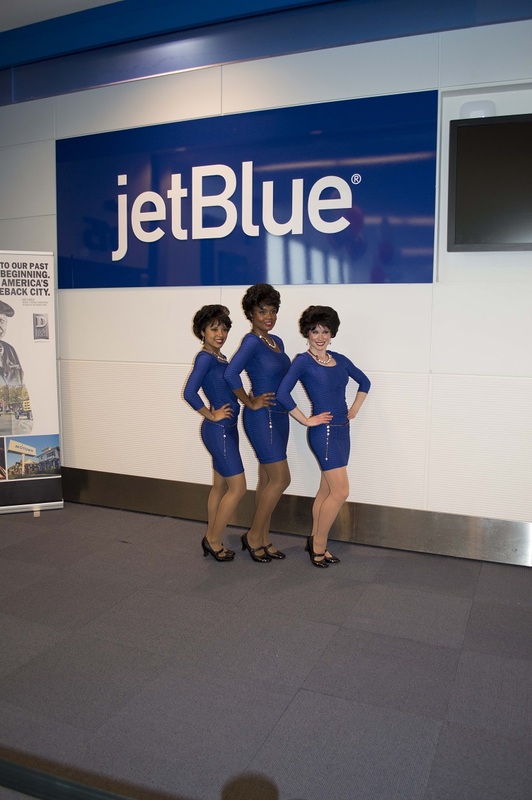 JetBlue unveiled their new 60's style retrojet last Friday as part of the return of their JFK-Palm Springs service. 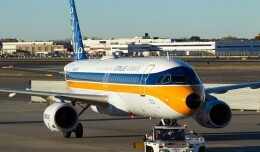 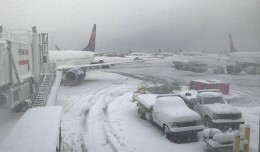 Does Jet Blue have plans to fly other places besides Boston?